Last March, Haiti, the poorest country in the Americas, which in 2010 was devastated by a terrible earthquake, faced general elections to renew the President of the Republic (second round), regional offices and deliberative bodies. The international aid that has tried for months, not very successfully, to start the reconstruction of the country, and had to overcome the delicate balance of supporting the organization of the elections, without falling into interventionism. 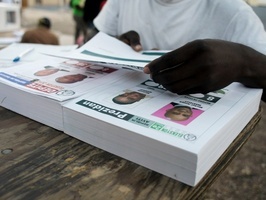 After the elections, doubts about the results and the process, reveal that while many nations offered Haitians assistance to safeguard their fragile democracy – haunted by numerous violent dictatorships and coups- virtually did nothing to ensure an election to give the Caribbean country a break, amid the social and economic chaos. While the elected president Michel Martelly calls on the international community not to legitimize the results of legislative elections, we wonder where Brazil, USA and Venezuela were, countries that since the quake struck, were willing to support Haiti. Even more, one of them leads the coalition of support, but they all remained silent when they should attend the electoral needs of Haiti. Allowing Haiti to have a new government, without casting shadows that undermined the enormous task of raising the country was paramount, as well as providing financial and technical support to rebuild the shattered infrastructure. Brazil, U.S. and Venezuela, all residents of the Caribbean nation, and also with mighty electoral systems, could have launched a partnership to provide technology that makes possible rapid and transparent scrutiny. These countries should not provide tools to automate the elections, because electronic voting in Haiti has no legal basis. Despite this, Haitians had to wait for weeks to know the election results, and they are still waiting for the international community to certify the results. It was imperative to save Haiti the uncertainty of knowing who had been elected, but brotherly countries like Brazil, USA and Venezuela remain in debt. From now on, Haitians will continue to depend on the world’s political to survive. When new elections come, the real intention of helping nations to make legitimacy the basis of elected officials, will once again be subjected to international scrutiny. This would be the only way that Haiti will rise. On Sunday, March 20th, the Argentinian province of Chubut held elections for governor, but several weeks have passed and still the winner hasn’t yet been announced. A recount of votes was forced, because of the close results (a difference of 1500 votes) and the fraud allegations (irregularities in the proceedings, wrong charging of the ballot and empty ballot boxes), but there’s still no winner. 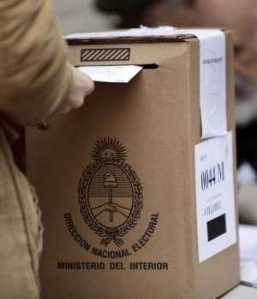 Chubut’s obsolete electoral system unfolded how the manual vote can delay the publication of the results with the faithful will of the voters, and also, how the credibility of the institutions is affected and how the trust in the electoral processes is broken. Argentina has been wanting for years to modernize the vote. Some provinces already have legislation to automate processes, and even have implemented 25 pilot projects in order to make possible the automation of the elections. How ever, there’s no current national governmental plans that states the adoption of technology that could allow the modernization of electoral processes in this nation. In the absence of results in Chubut, the debate on the implementation of electronic voting cornered again the citizens’, the parties’ and even the Argentinian government’s attention. While Daniel Scioli, Buenos Aires Province Governor and President of the Peronist Party, warned that “it’s unacceptable” that Chubut has not enabled informatics mechanisms, Florencio Randazzo, Interior Minister, complained that a website hadn’t been enabled for citizens to follow online the results that were taking place in each city. The discussion on the need of improving the electoral system that could guarantee reliable, transparent and Speedy results is just starting, but there are some examples that show how implemented systems have worked in some provinces. In Ushuaia three referendums using e-voting have been already implemented, but the approval to use this system in municipal election was suspended in the Legislature. As in the region of Chubut, the changes for automation in Argentina won’t go through not because of the possibilities technology brings, but because of political aspects that have hobbled the process. The loss of control of the system and the weakening of patronage are often enemies of the adoption of voting technology.